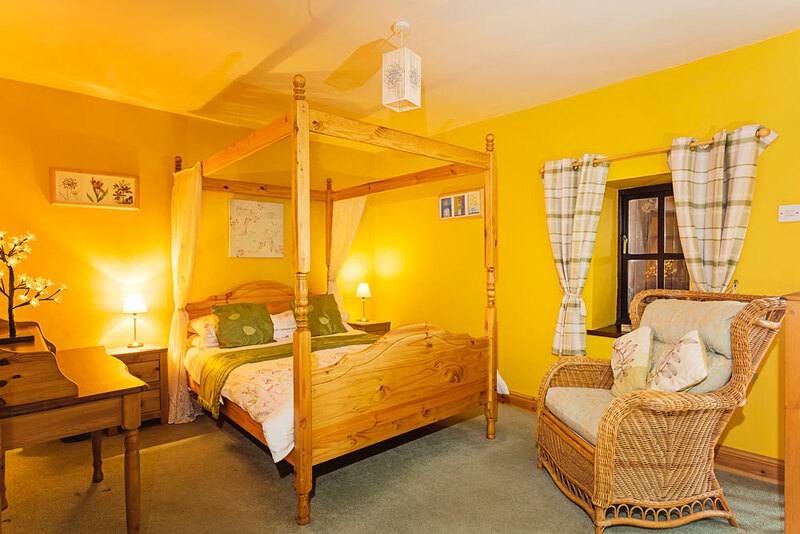 The cottage’s french windows lead straight out onto the balcony where you will find a bistro set for enjoying breakfast in the morning sun, or a glass of wine in the evening looking at the stars. The living area has a double sofa and comfy armchair, both looking out of the french windows and at the digital TV with DVD player. A fully equipped kitchen and dinner table for two is provided upstairs and free Wi-Fi is also available. 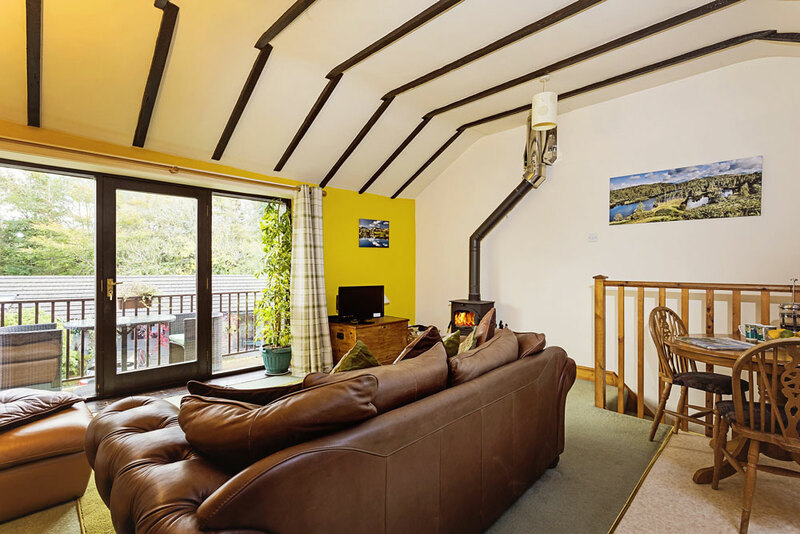 It is also one of our most popular lake district dog friendly cottages. 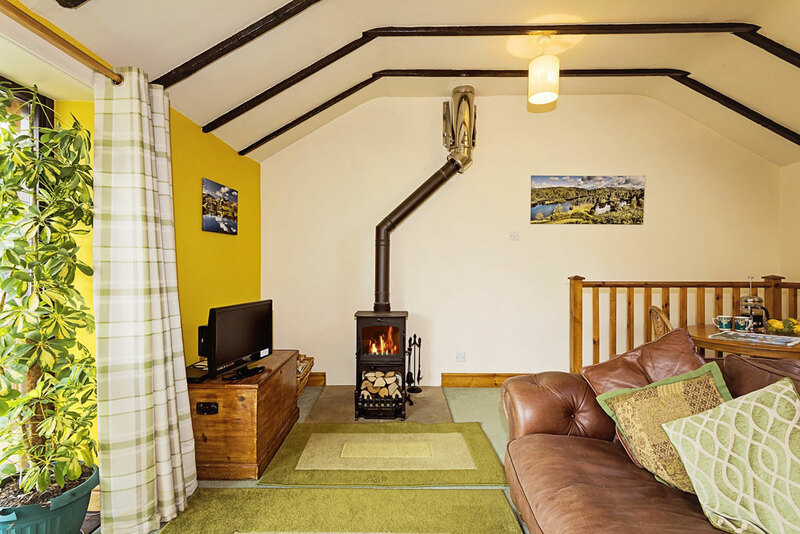 Parlour cottage also boasts a modern Scandinavian style log-burner which gives the room a really cosy feel, especially in the winter months and longer evenings. 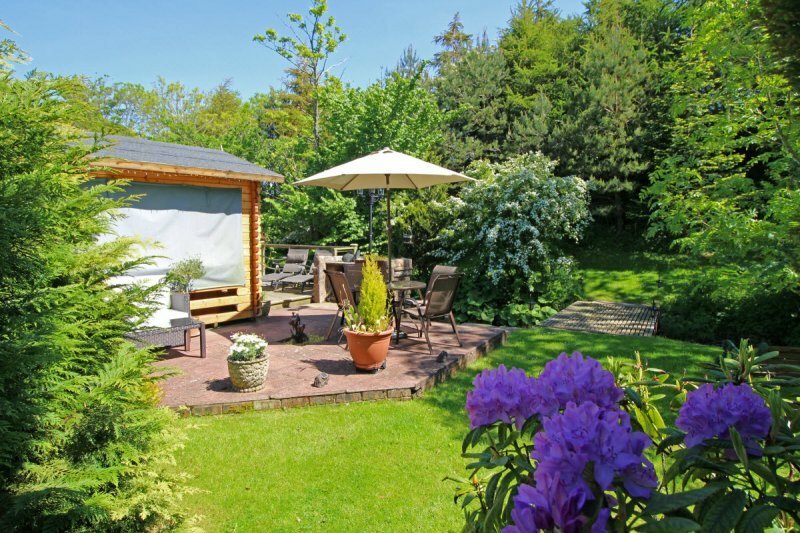 It is fully insulated with double glazing and storage heaters; this heating is included in the price. 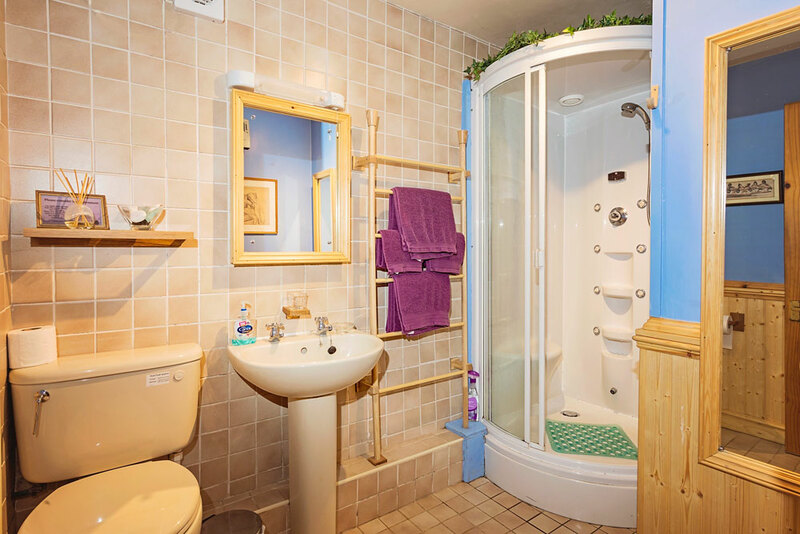 Downstairs you will find the bedroom with a lovely four-poster bed and the bathroom, which is fitted with a hydro-therapy shower cubicle. 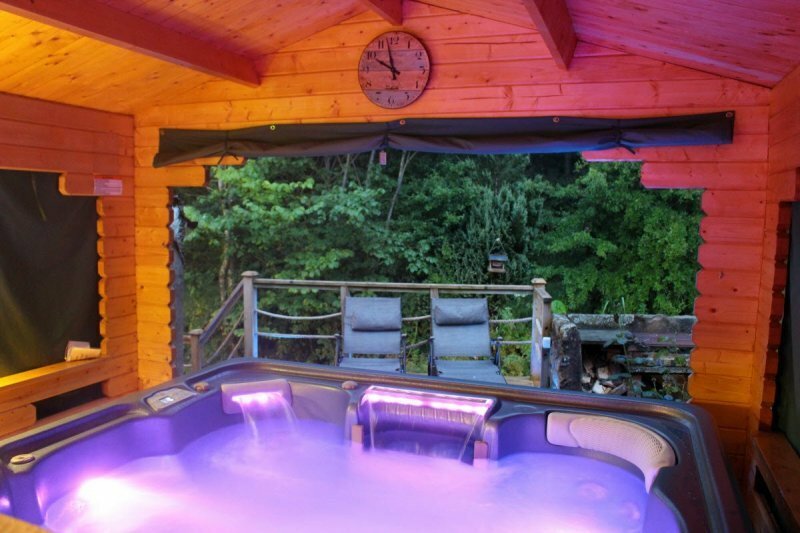 Add to this, access to a large hydrotherapy spa/hot tub we think this cottage is great value for a luxury break for 2! 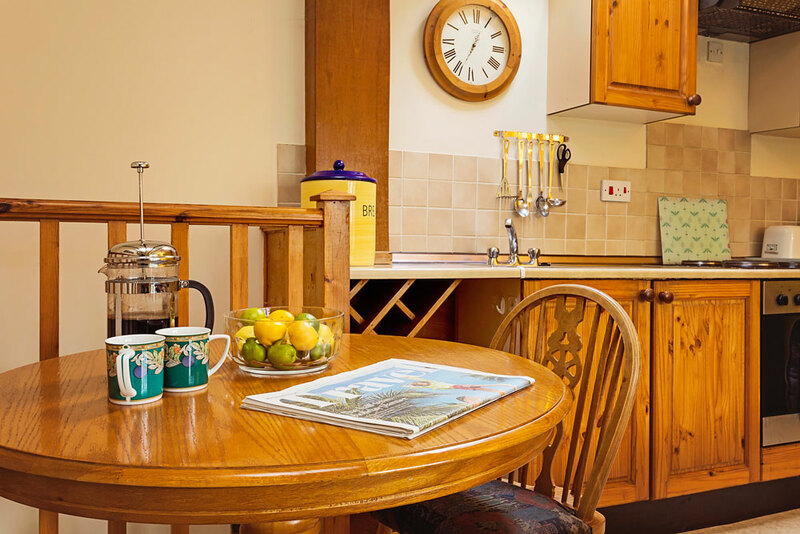 Parlour cottage is popular with guests who return year after year, and with those who book weekly or fortnightly holidays. 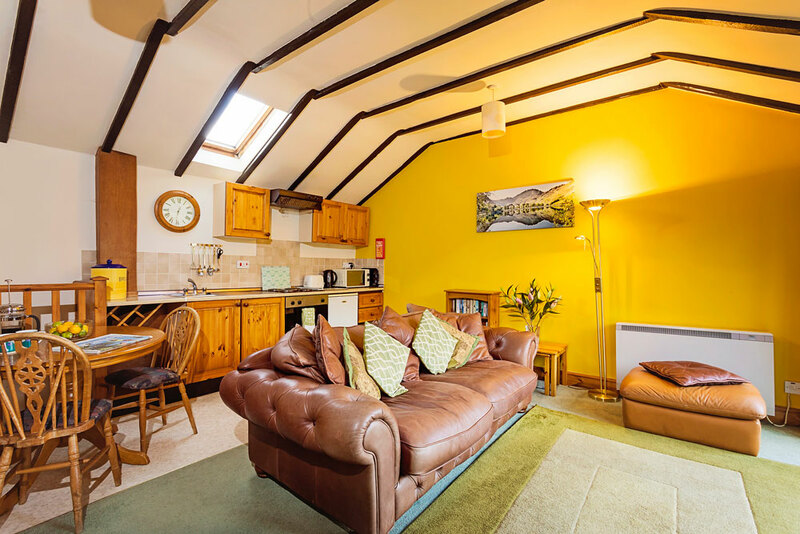 Parlour along with Dykes and Salkeld is one of our 4 star cottages. 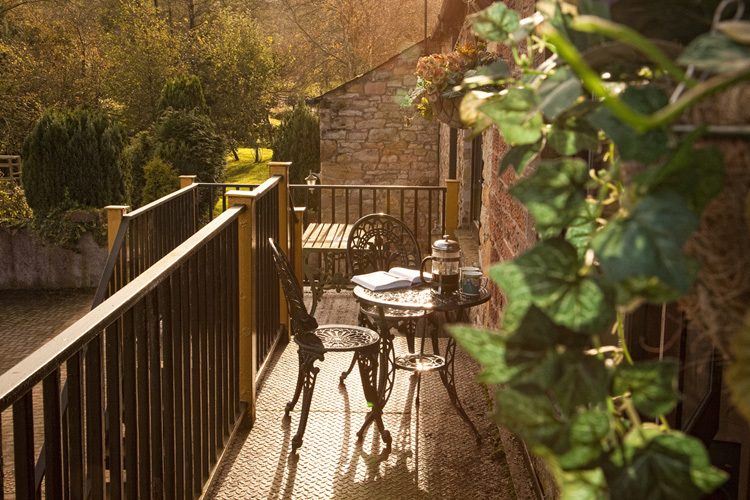 All cottages have their own parking space and share beautiful spacious grounds with a babbling brook. Laundry facilities (with iron and ironing board) are opposite the cottage. *There is a £10 charge for the wood and coal, which should last two nights, if you choose to use it. Heating is included, electric for lights and cooking etc is charged at the supplied price and around £2 -£3 per day is needed for the meter. 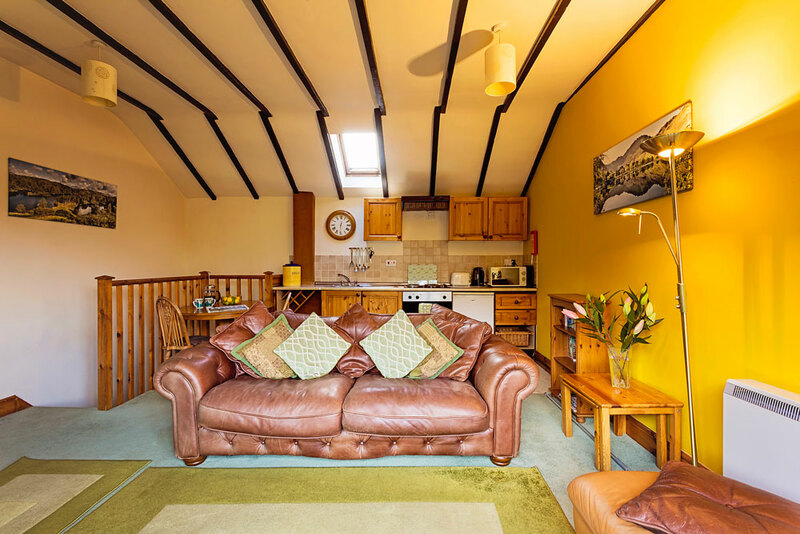 Parlour Cottage is available for selected dates. Steve and Emma. Vale of Glamorgan. 1st February 2019 2 nights. After a very stressful month Gary surprised me with a weekend away. As soon as we arrived I fell in love with the place. Everything was perfectly kept and in place for our arrival. the hot tub was amazing and very soothing. Such a beautiful and gorgeous scenery. We will be back. 11th Jan 2 nights. Lovely relaxing place, home from home comfort. We really enjoyed the log burner and views. Thank you. 17th November 2 nights. Beautiful place, really enjoyed our stay at Ellen Hall. Hot tub was great. We look forward to visiting again. Thank you. 14th October 2018, 1 week. We really enjoyed our stay. Wayne and Jo were great hosts, there if you need them but also give you plenty of space. 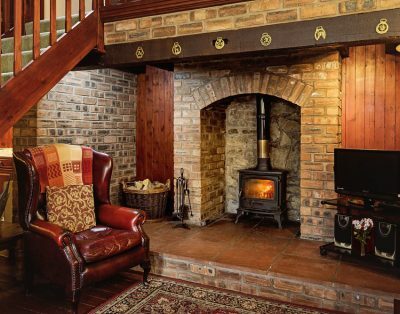 The cottage was great, really comfy and homely. We would love to see the area in the summer months too. We will be back and recommend to others. thank you, hope to be back soon. 2-7 October 2018. Lovely peaceful stay with gorgeous surrondings. The Masons Arms and hot tub made the whole experience perfect. 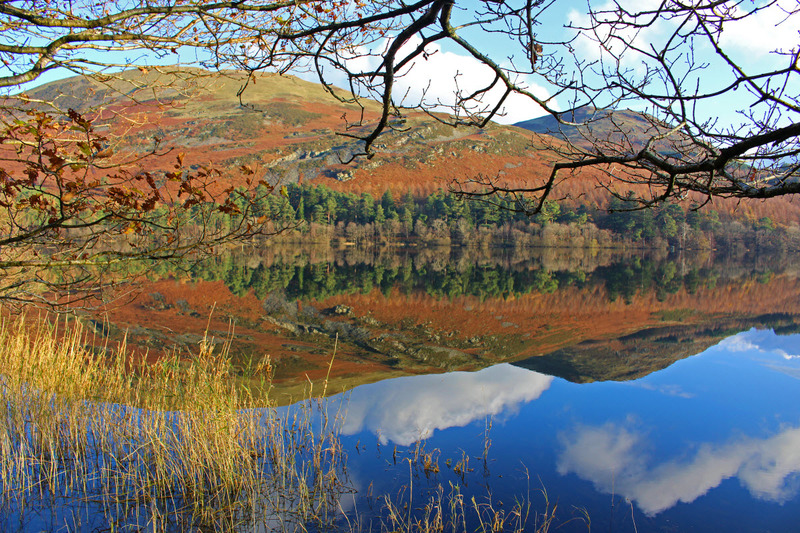 As well, of course, the beautiful lakes & friendly people. Thank you Wayne & Jo.